The recommended franking machine for 50 items / letters a day. The IS290i franking machine is a perfect entry level model for any new and up coming business wanting to start franking with an easy to use and low volume machine. Coming with many useful benefits and features, this machine will ensure you never have to buy a stamp again. Why choose the IS290i franking machine? Access to Royal Mail Services! The IS290i franking machine will store all of the UK and overseas Royal Mail postage rates as standard. Use these rates at the touch of a button and gain instant access to them. 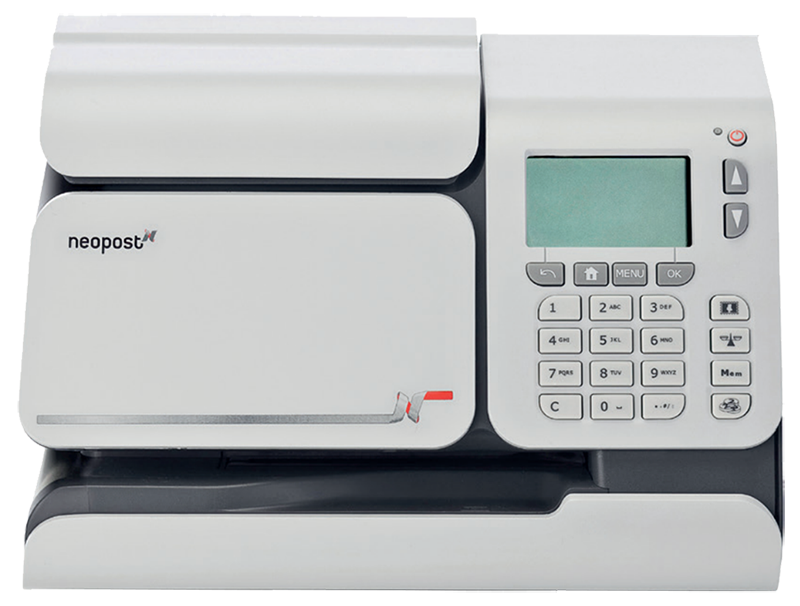 The Neopost IS290i franking machine allows you to frank mail in the comfort of your own business without leaving the office building. No more last minute trips to the Post Office will be required saving you time and money. The IS290i is a very easy to use franking machine as it comes with many shortcut keys allowing for easy access to your most common jobs. Connect to an easy to install LAN connection and receive faster download speeds with the IS290i machine. Using this machine could not be made any easier to use. If you want to see the fantastic IS290i in motion, view the video below and see just how easy this franking machine is to use. There is a built-in 3KG weighing scale with the IS290i. Make sure you never overpay for a mail item. Protect the IS290i franking machine via the use of PIN code security. This machine is Smart Meter compliant. Take full advantage of this unique service with the IS290i. Track expenses for up to 10 departmental accounts on the IS290i franking machine. Automatically record and report any VAT paid via VAT applicable services with the IS290i. Use an analogue, Wi-Fi or LAN connection to recredit and update the IS290i franking machine. Below you will be able to find all the specifications and options of the IS290i that are available. We can guarantee that the IS290i franking machine is a entry level franking machine available in the UK. It is a low performer, but perfect for people learning to frank. Compare the IS290i against other entry level franking machines, and you may see that other frankers may be slightly more suited for your business. Increase productivity with the Neopost IS290i and compare it to other machines. Please take a gander at the table below.